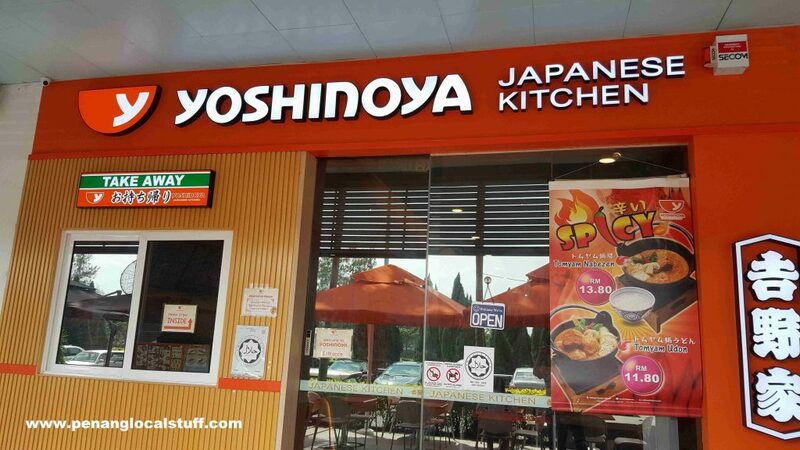 Yoshinoya is a Japanese fast food chain specializing in beef bowl (beef served on top of white rice). 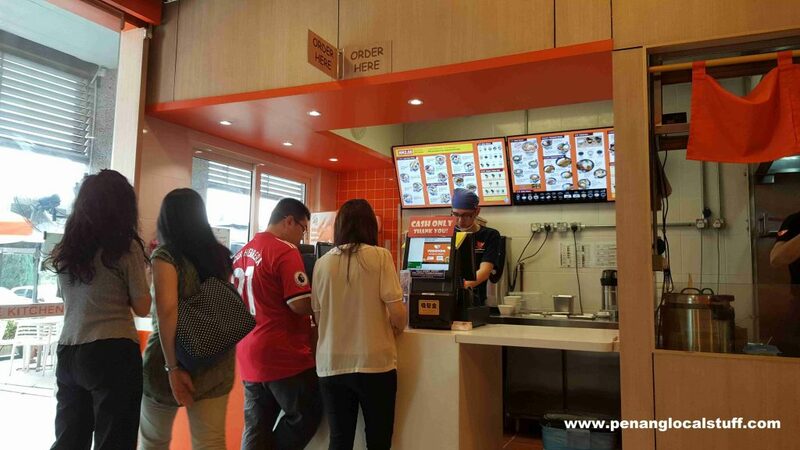 The chain strives to serve “tasty, low-priced, and quick” food (that is Yoshinoya’s motto). 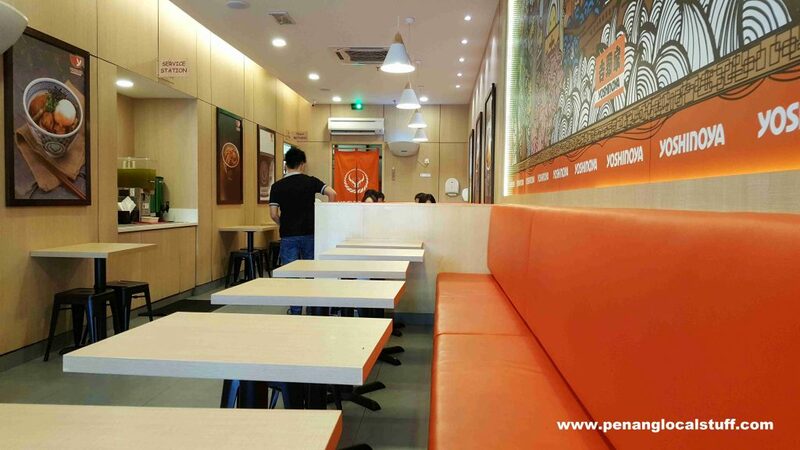 The first time I had a meal at Yoshinoya is in Shanghai, China; before they open branches in Malaysia. 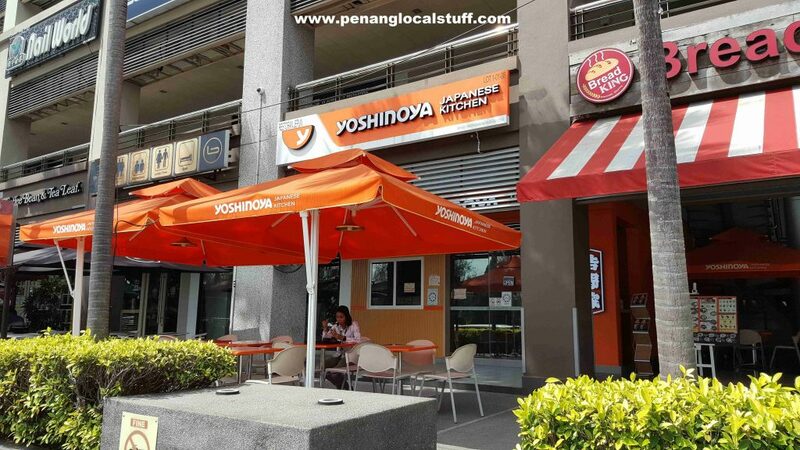 Yoshinoya now has a few branches in Penang; and other states in Malaysia. 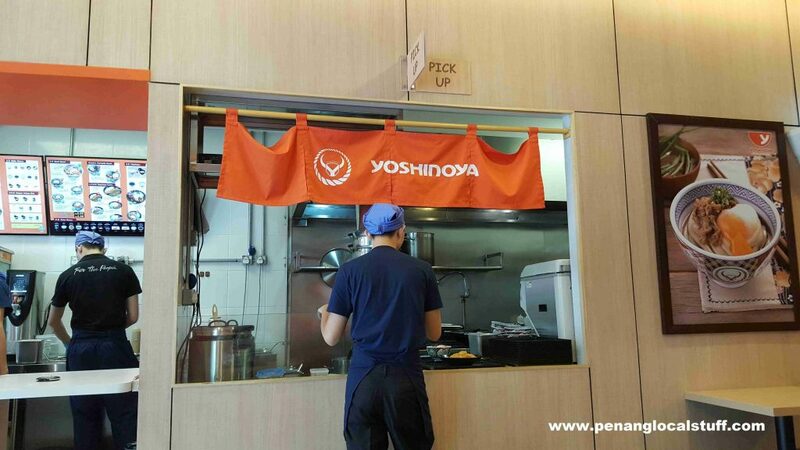 I went to the Yoshinoya E-Gate branch for lunch recently. It is located beside the Bread King bakery. Inside the restaurant, there is a counter for ordering, and a counter for picking up meals. The seating area is clean and tidy. It is a comfortable restaurant to have a quick meal. I ordered the “original taste” beef bowl and green tea. The green tea is free flow. I was given a remote buzzer, which will activate when my order is ready for pick up. I waited for about 5 minutes for my food, which is quite fast. The beef bowl was quite delicious. 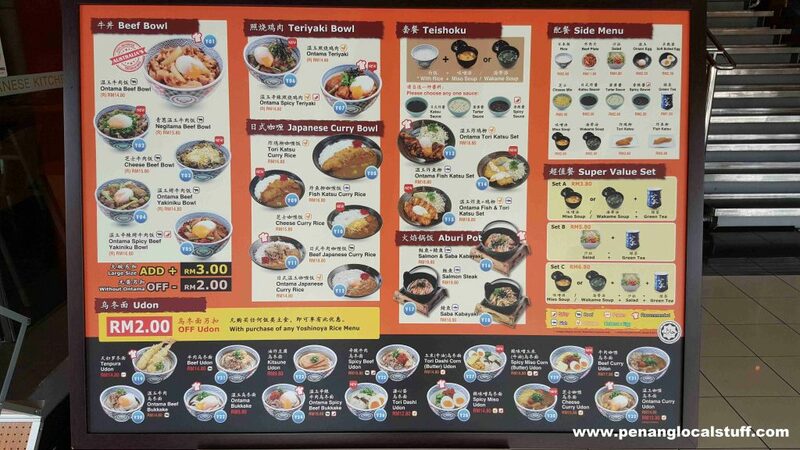 Yoshinoya also serves many other Japanese dishes: chicken dishes, fish dishes, udon dishes, etc. Lot 1-01-08, Ground Floor, E-Gate, Gelugor, Penang. 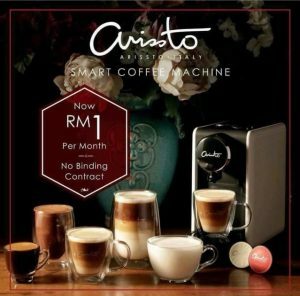 170-B1-31, Basement 1, Gurney Plaza, Georgetown, Penang. S-01A, 2nd Floor, Sunway Carnival Mall, Seberang Jaya, Penang.